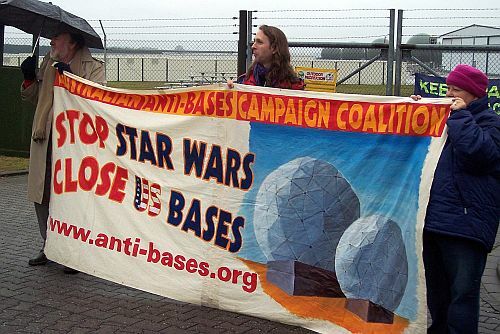 Stop Star Wars Research & Development! Please contact these people directly to negotiate speaking dates, travel expenses, etc. during the week of local actions. They all have considerable expertise on the space issue. In addition, the United Nations Office for Outer Space Affairs (UNOOSA) is responsible for promoting international cooperation in the peaceful uses of outer space. It serves as the secretariat for the General Assembly's only committee dealing exclusively with international cooperation in the peaceful uses of outer space - the United Nations Committee on the Peaceful Uses of Outer Space (COPUOS). 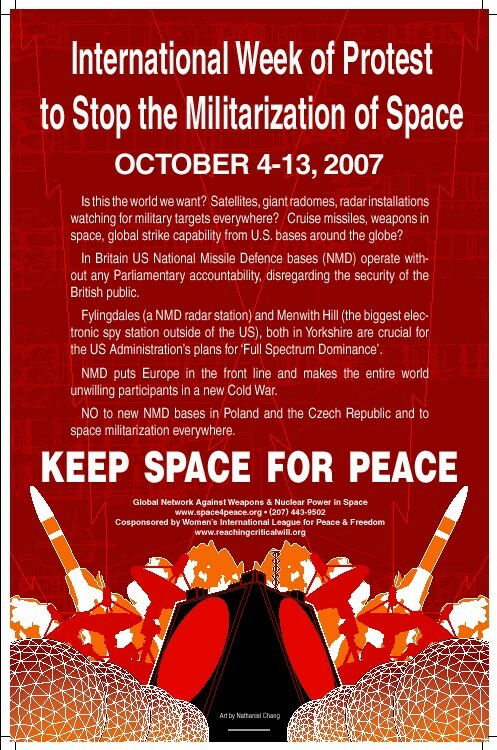 .It produced a publication on world wide activities during UN World Space Week (4-10 October 2007) which includes all the GN Keep Space for Peace events we could put together. It can be obtained from http://www.unoosa.org/pdf/wsw/wsw2007E.pdf (but it is almost 5 MB so be warned!). Thanks to Carol Urner of WILPF for coordinating the inclusion of our events in this publication.